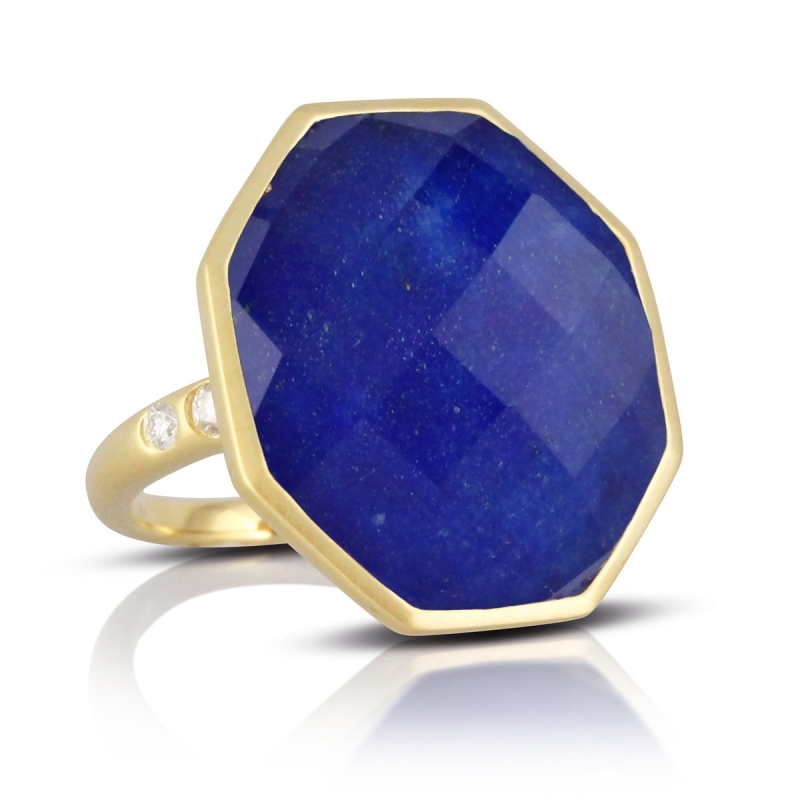 Inspired by the starry sky over Monaco. 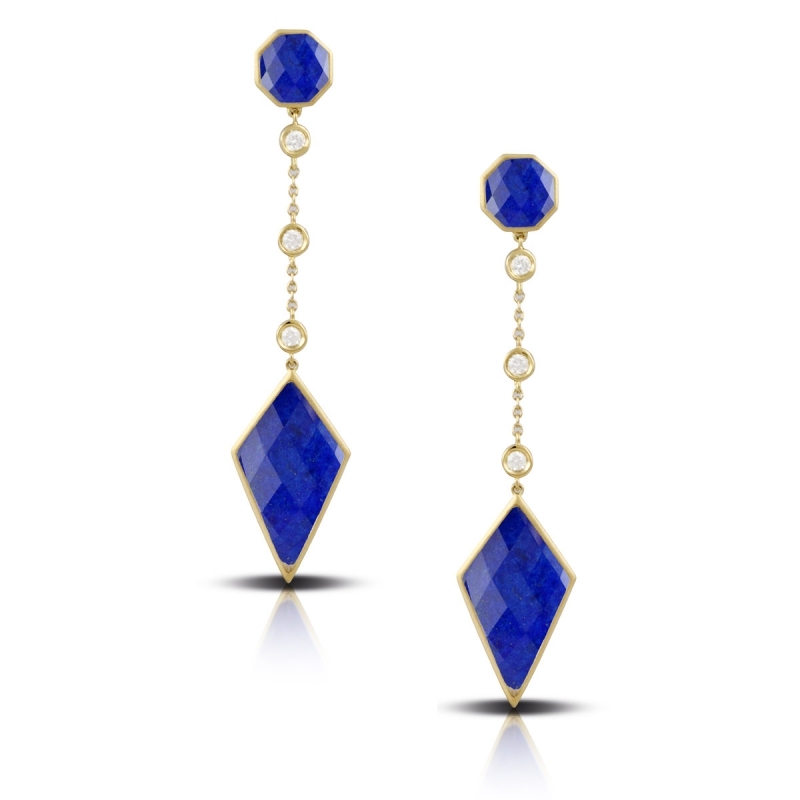 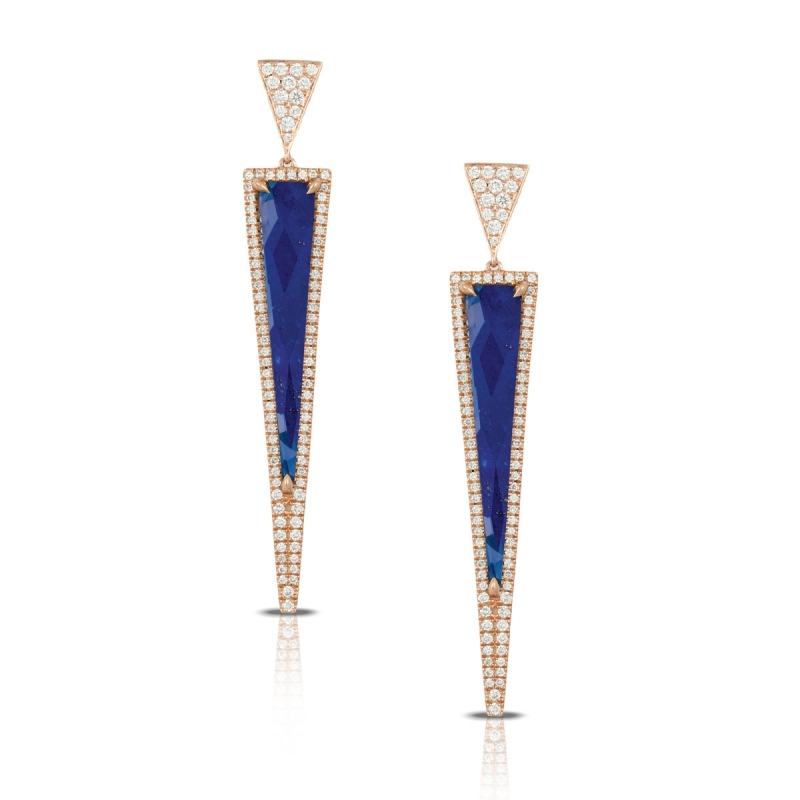 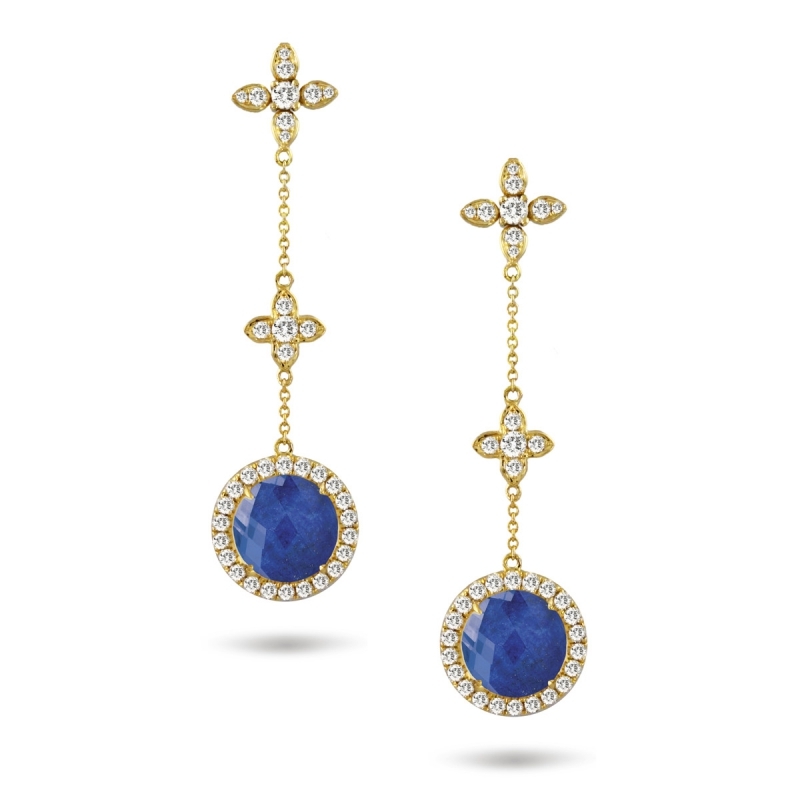 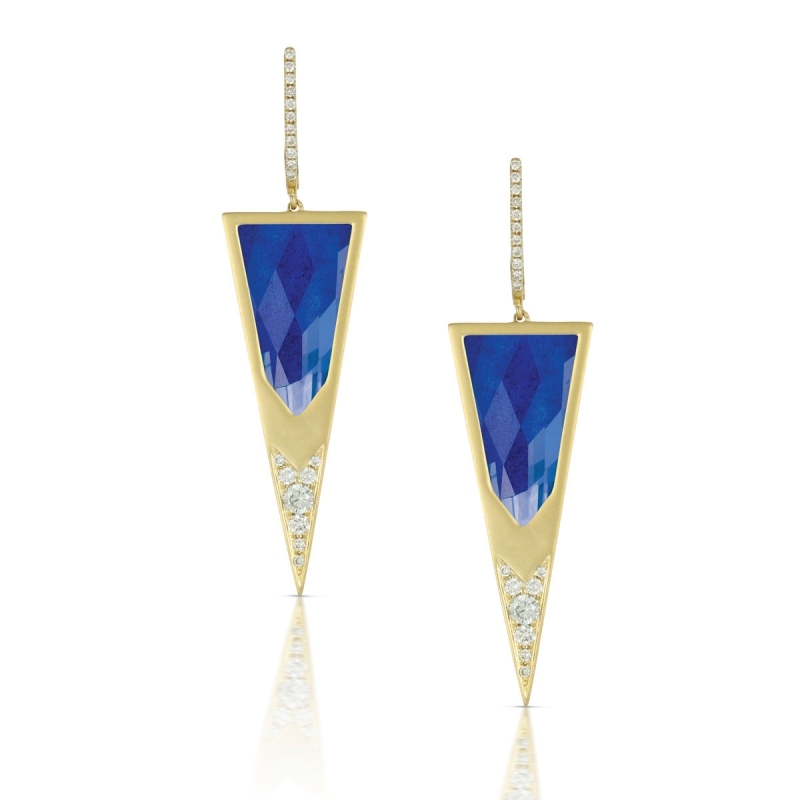 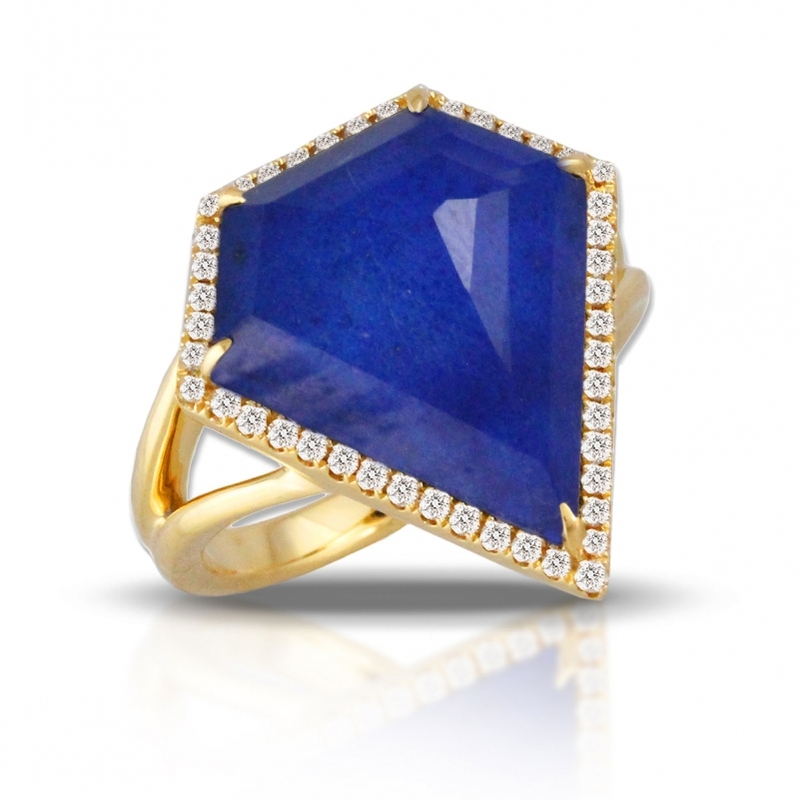 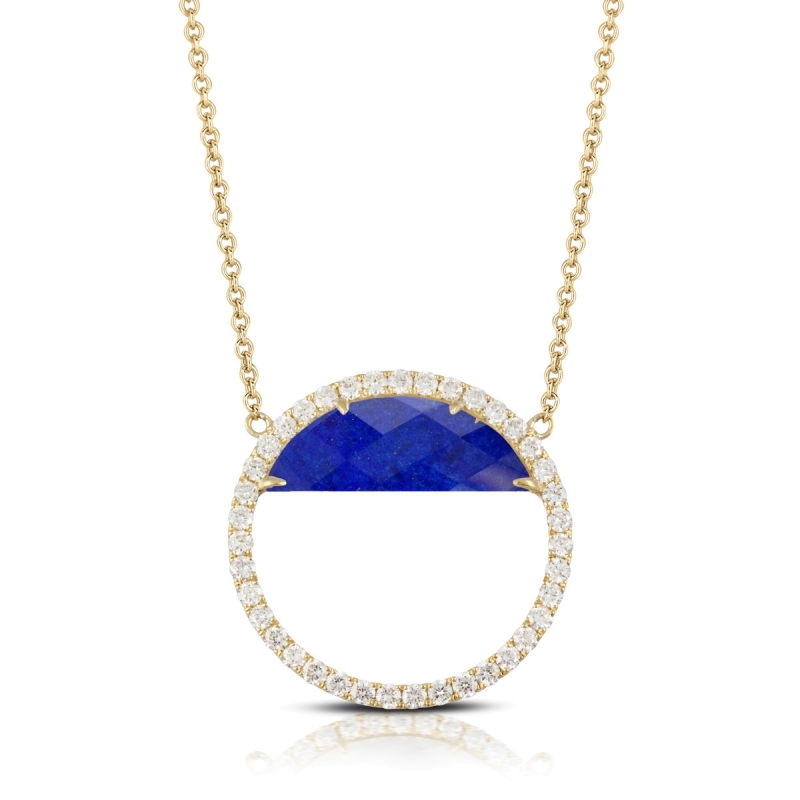 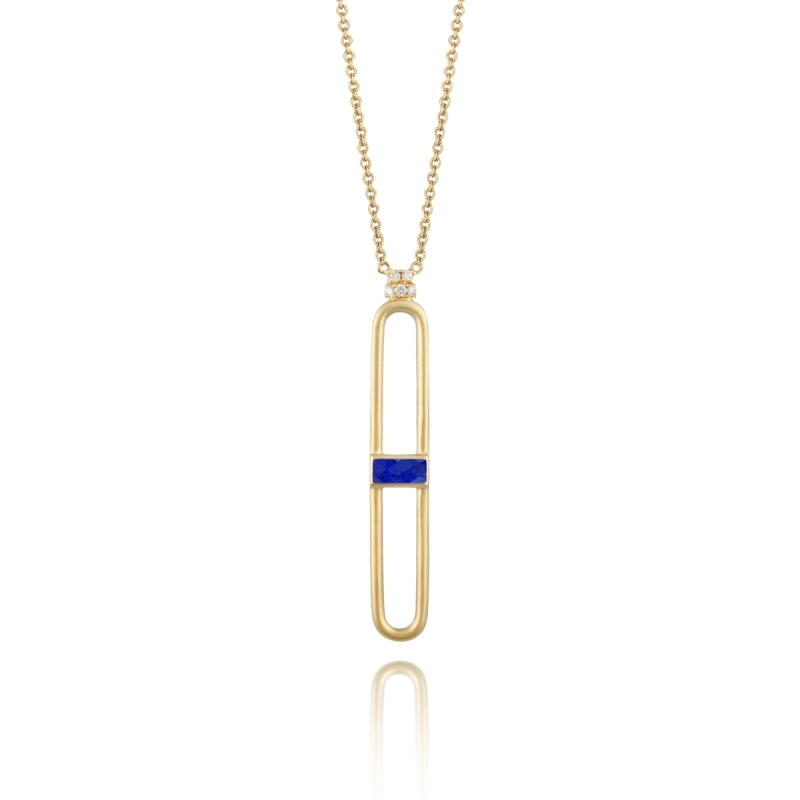 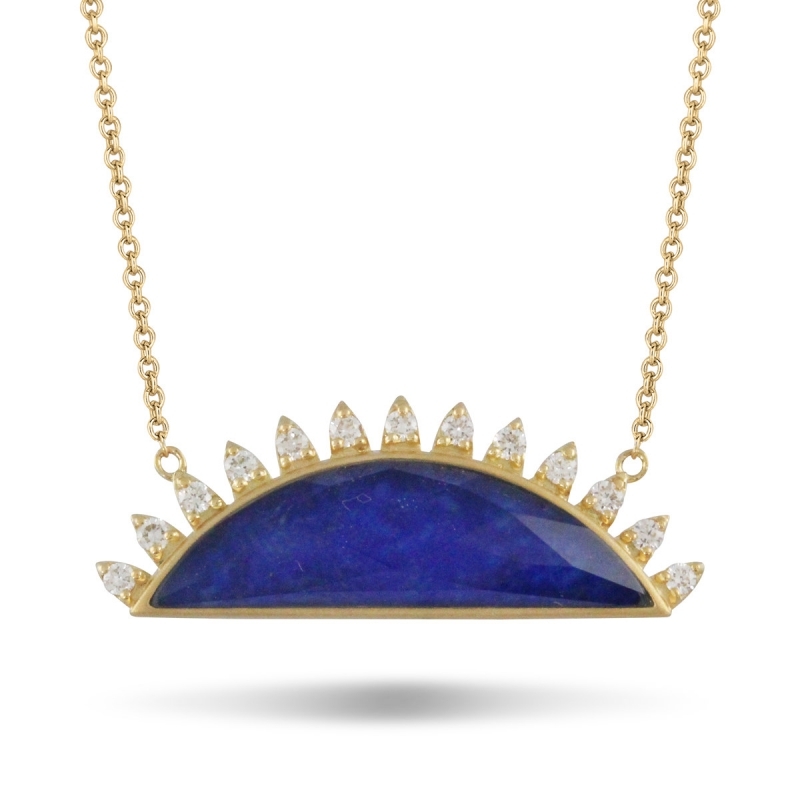 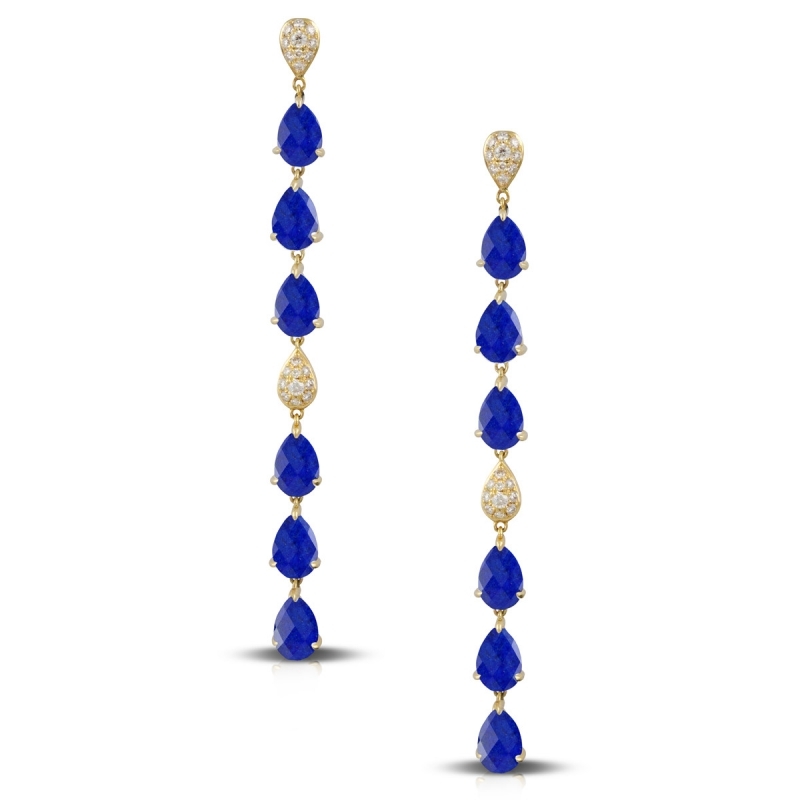 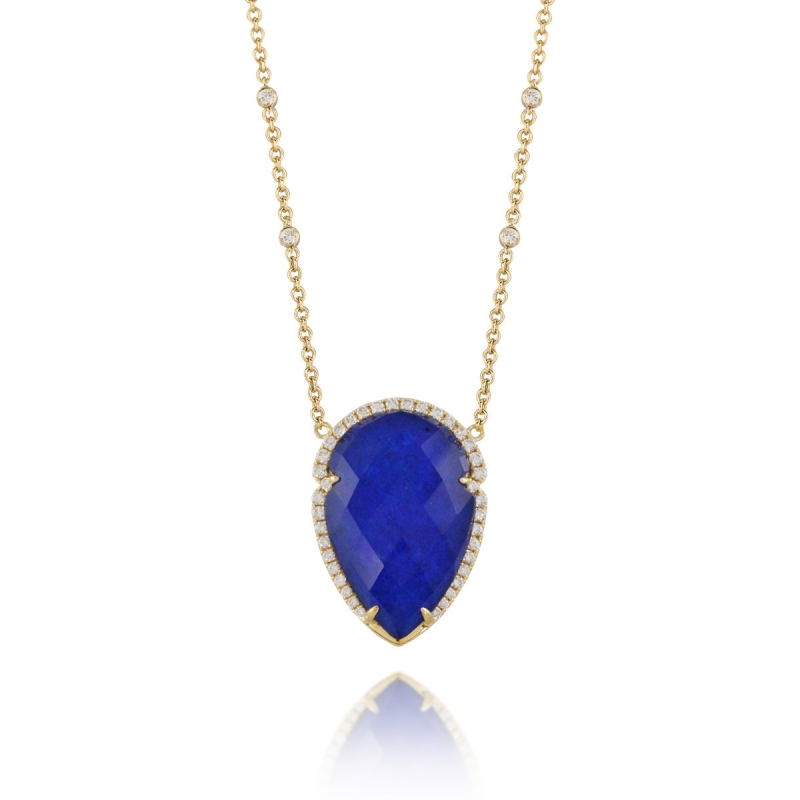 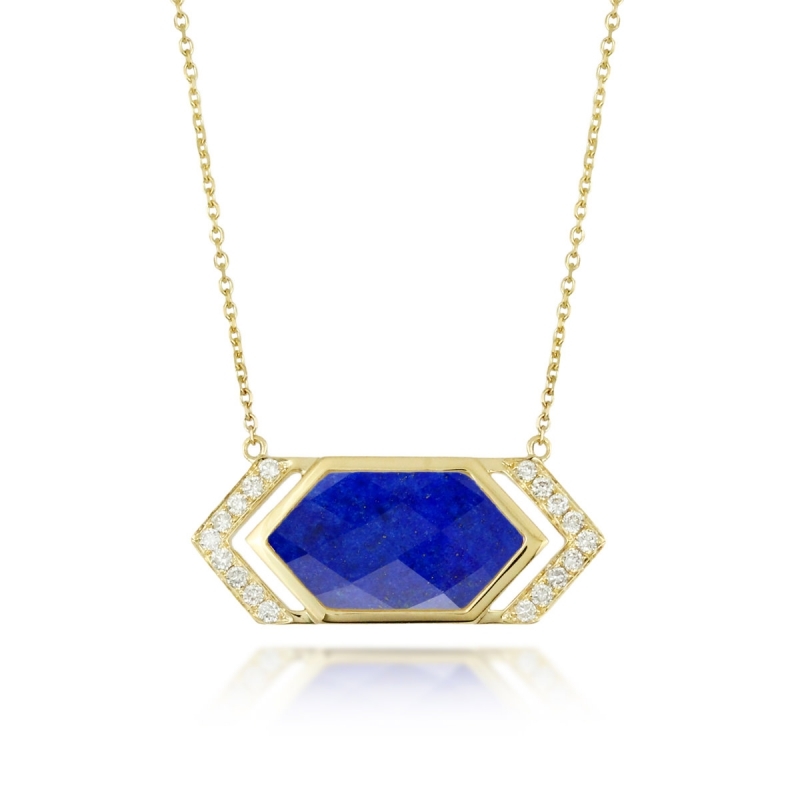 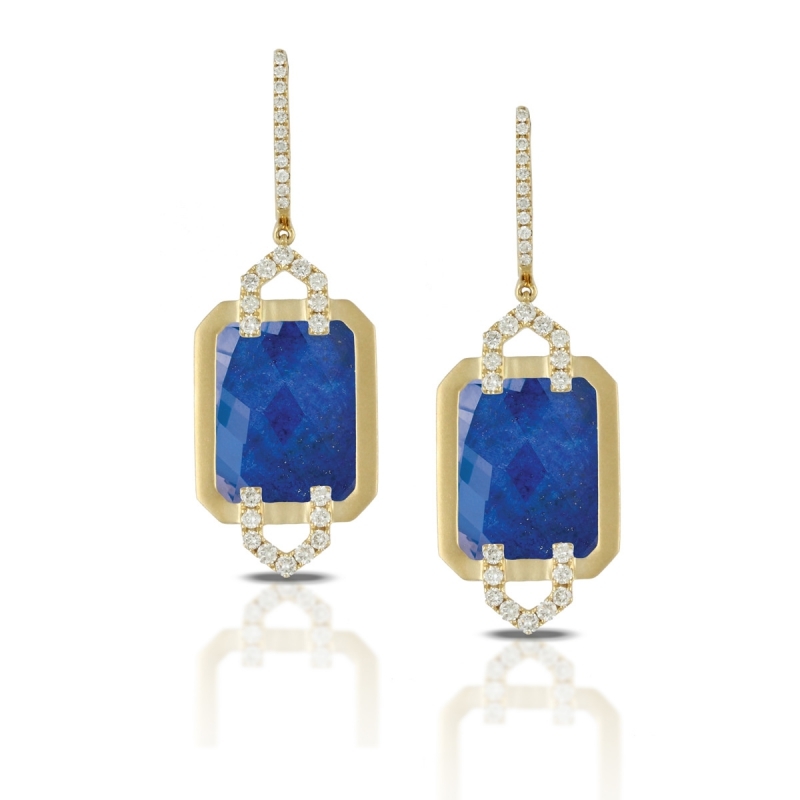 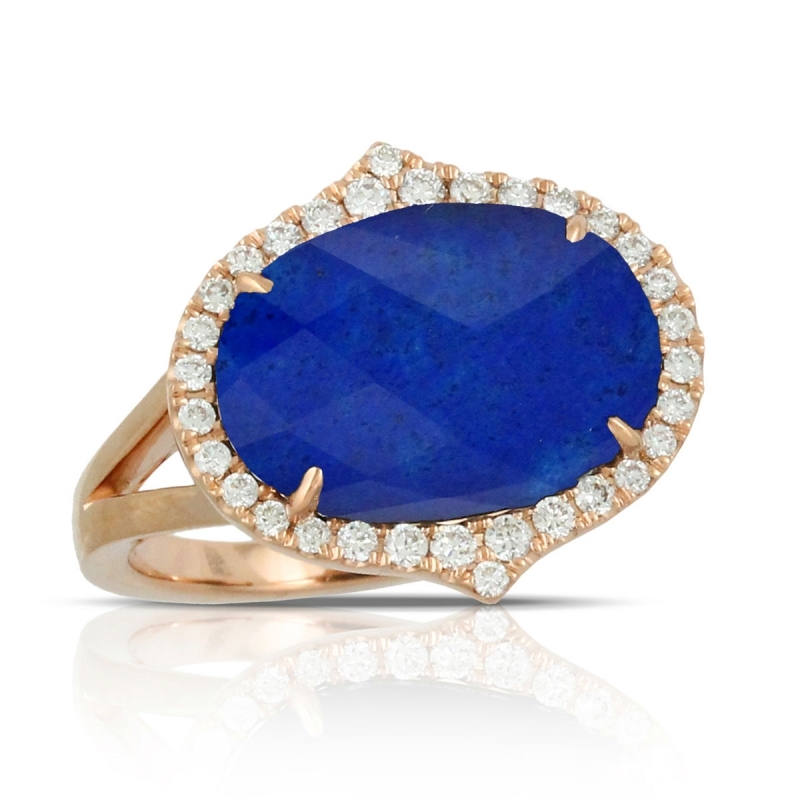 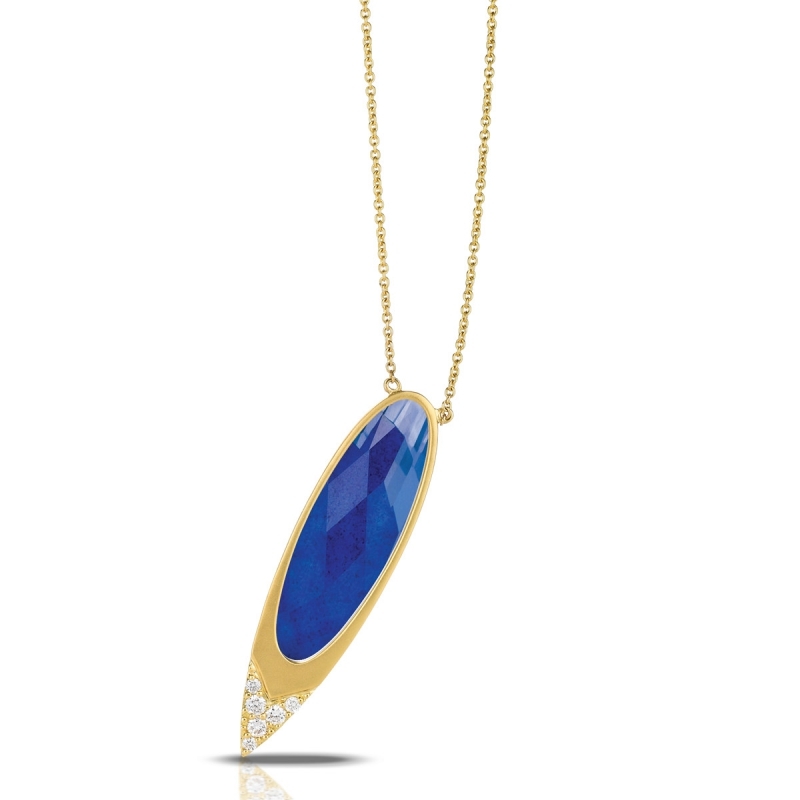 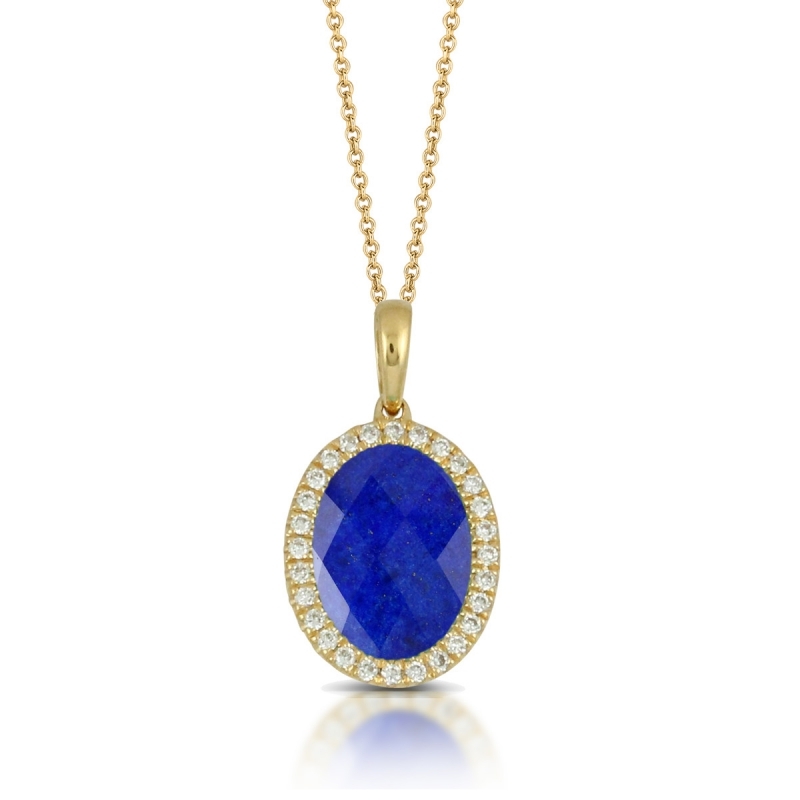 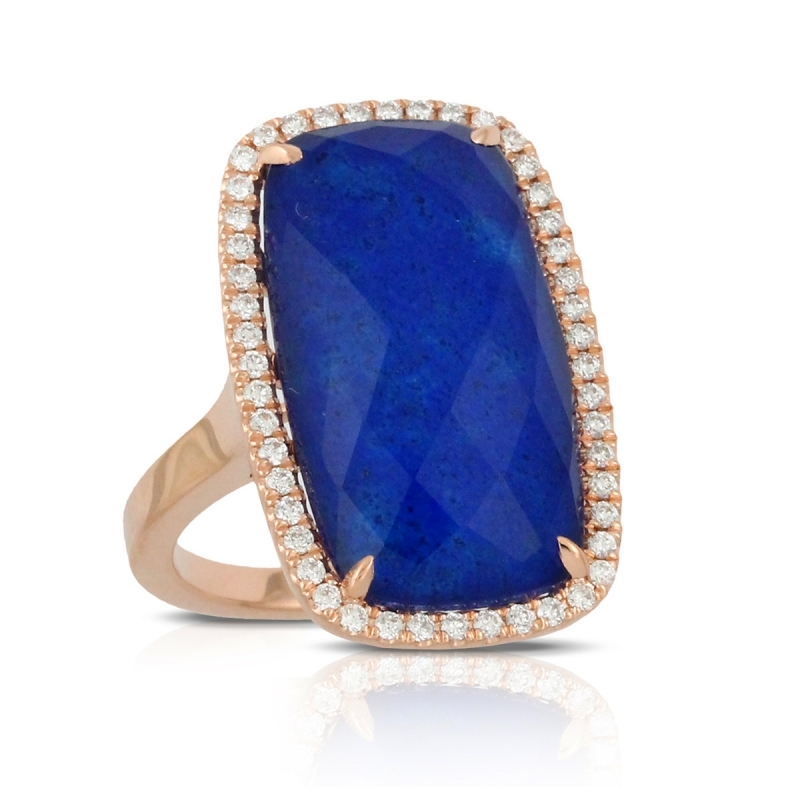 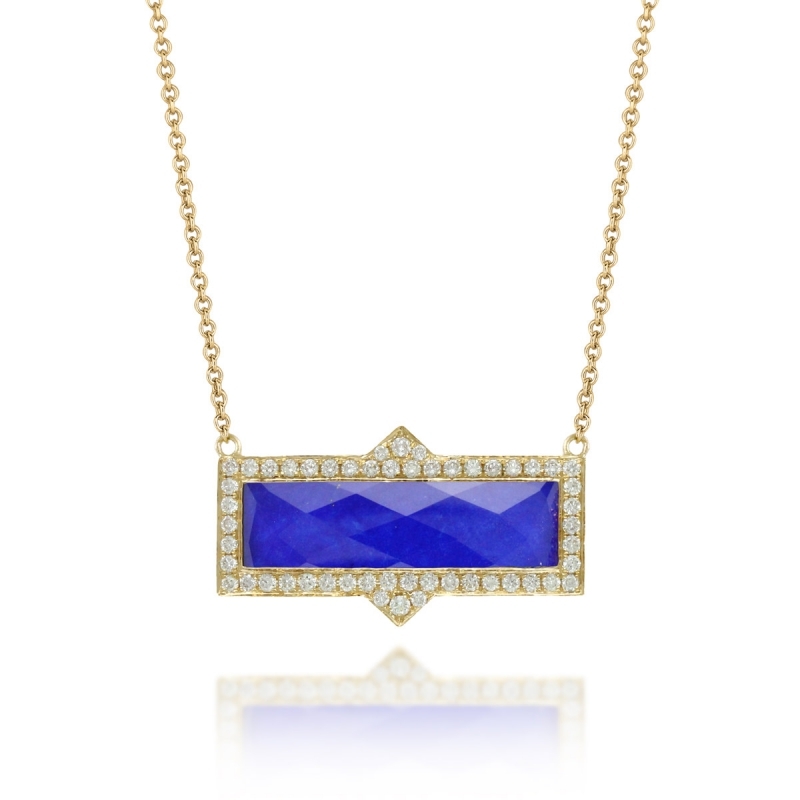 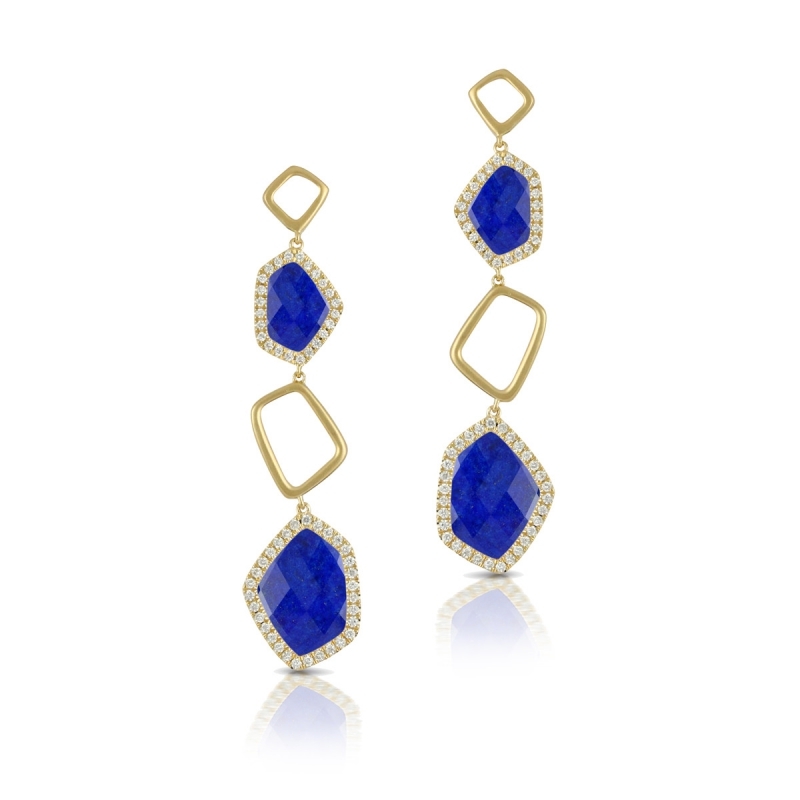 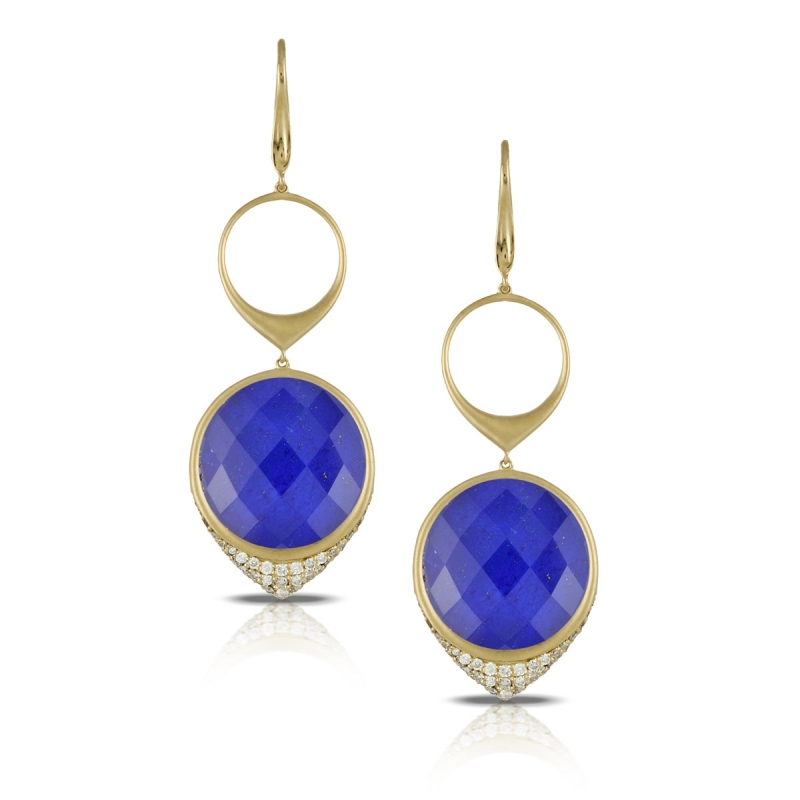 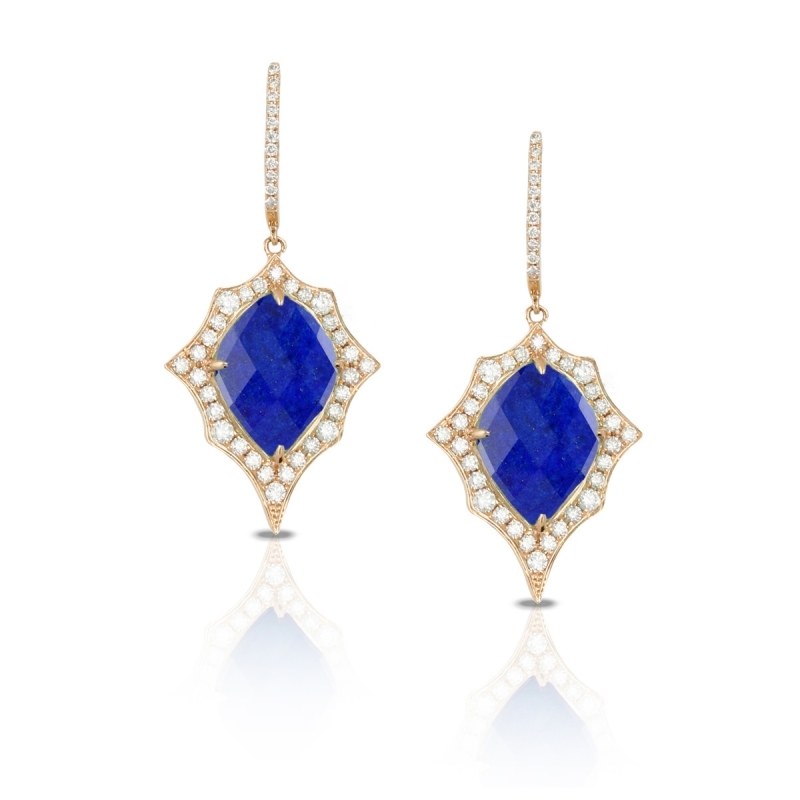 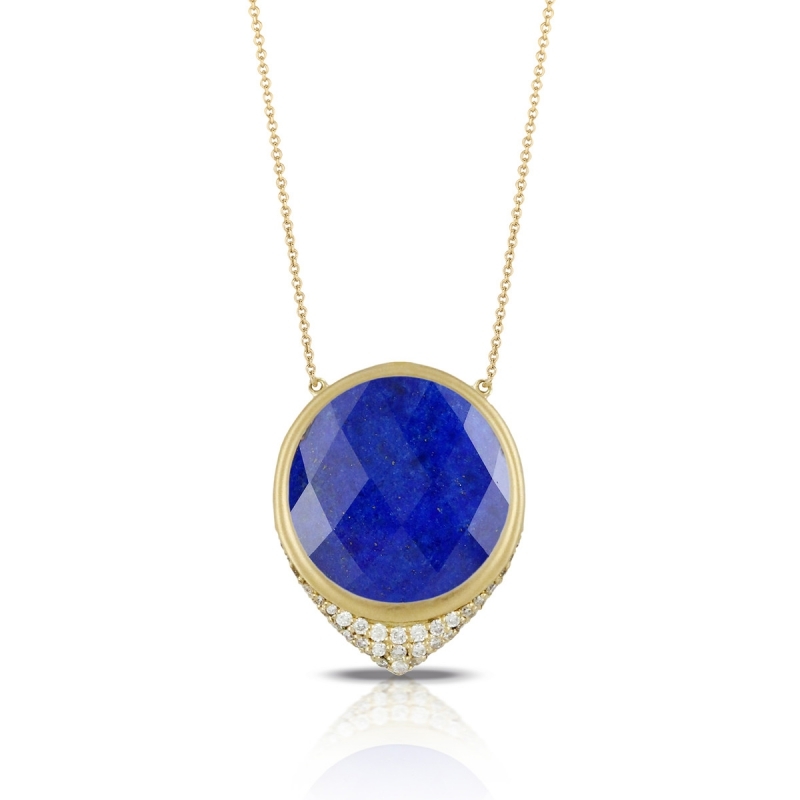 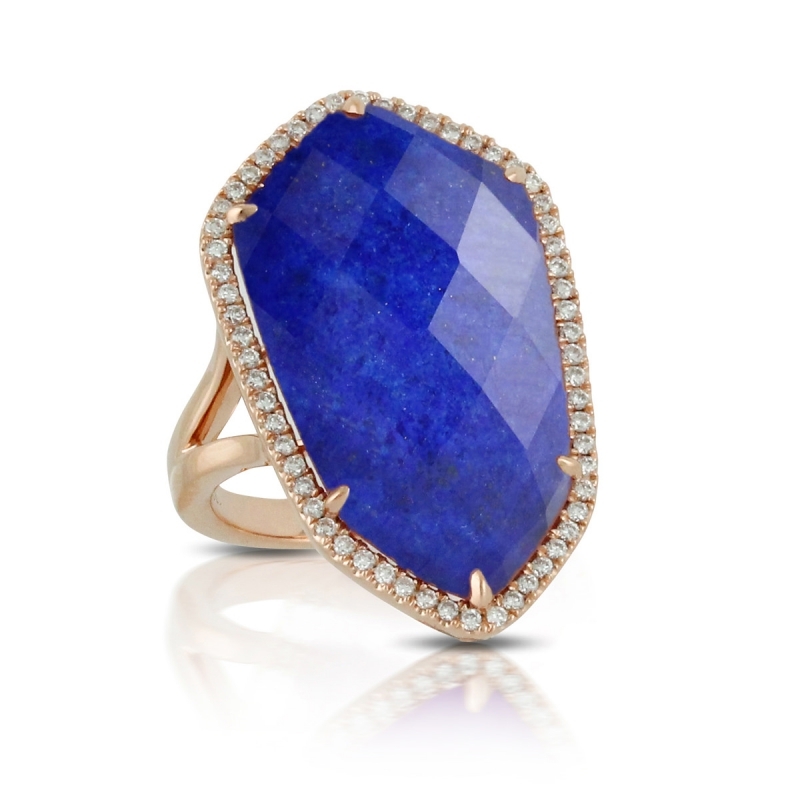 A royal blue lapis lazuli base is layered with checker-cut clear quartz, accented by golden inclusions that shimmer like stars in a night sky. 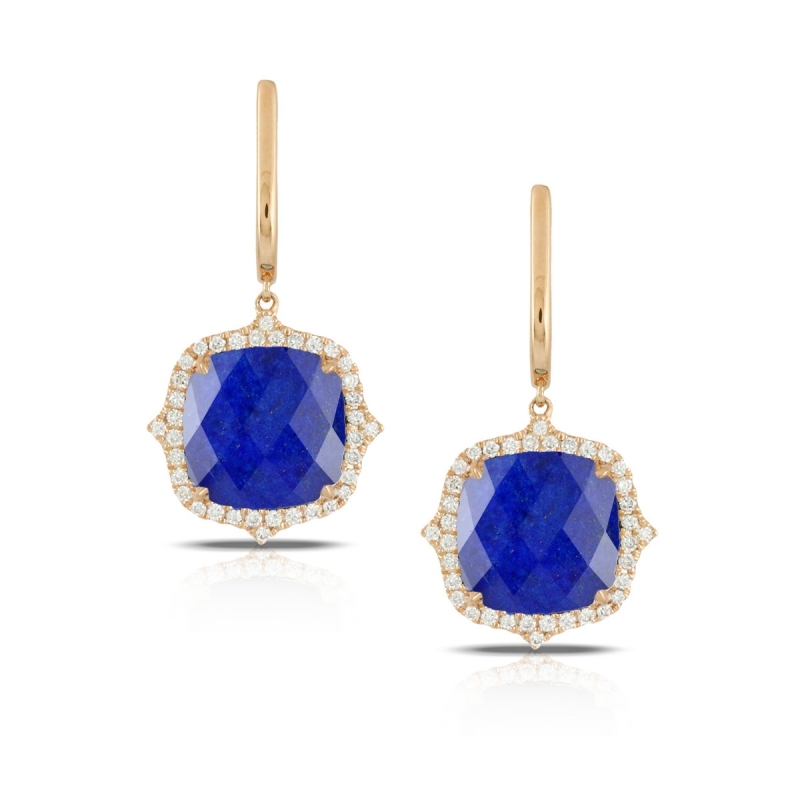 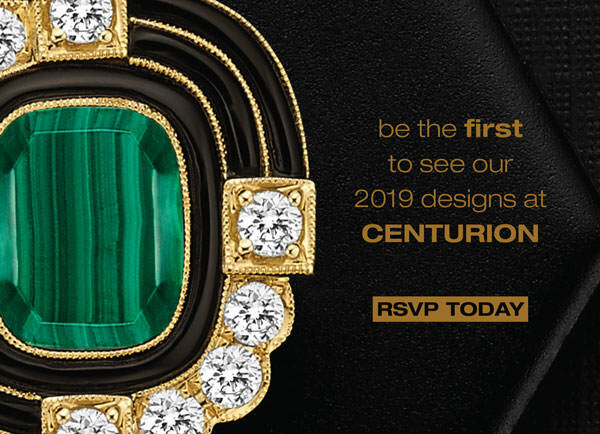 Set in 18 karat rose or yellow gold with sparkling white diamonds.